This article is mostly as a reminder for brides and grooms, and is common sense to ensure your wedding day proceeds without hinder. Just prior to your wedding day be sure to contact ALL suppliers for your big day. 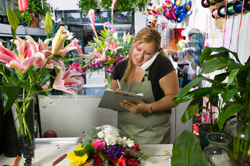 You should personally call all of your suppliers and confirm the details for the wedding day. Everyone should know what they are doing by now, but mistakes can happen. There are many horror stories of suppliers getting the information incorrect, even the date of the wedding! Be sure to check all the particulars of your order with the suppliers. Rather than having fears of things going wrong on the day or wondering where things are or why they haven’t arrived, double check all the details prior to the wedding. Contact should be made with everyone that you are expecting to be a part of your day, also including those who are supplying or delivering items for the wedding either on or the day before. This includes but is not limited to the venues, decorators, photographer, cake maker/decorator, florist, etc.